Anup Kumar rallied U Mumba in the second half to continue their winning run with a 29-25 win against Bengal Warriors. After an exhilirating first match between Dabang Delhi and Puneri Paltan, Bengal Warriors hosted U Mumba, who had won all their matches so far. The Warriors had 2 extremely close encounters at home in the last 2 days, winning 1 and losing the other in the last raid of the match. 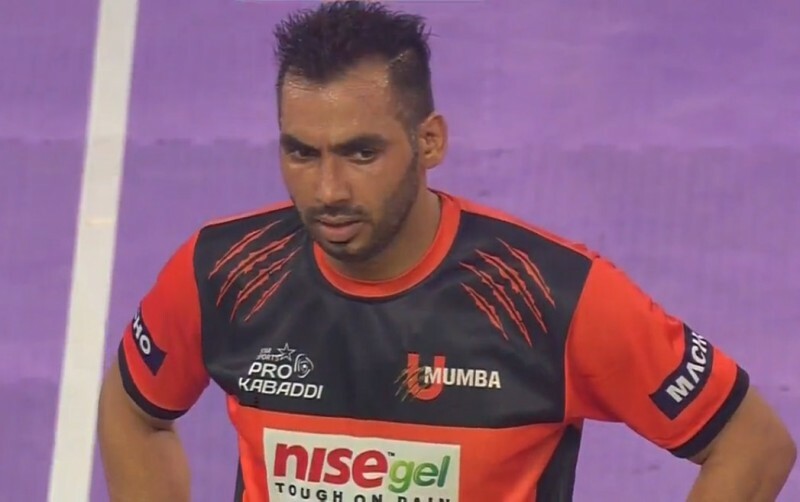 The home side got a morale-boosting point in the first raid itself by getting Anup Kumar out. However, despite trailing by 2 points, U Mumba roared back to take a 4-2 lead in the 4th minute when Shabeer Bapu returned successfully from a raid. Nilesh Shinde caught Rishank Devadiga soon after and by the 10th minute both teams were tied at 5-5. Each team had 5 empty raids by then as both defences stood firm, not allowing either raider an easy chance. This match was in complete contrast to the first as the points were hard to find and it was a test of patience for both teams. As the clock ticked down, U Mumba enjoyed a 2-point lead. The home side did a good job in restricting Anup Kumar to no points in the first half. Both the teams had just 7 points in the raids combined at the end of the half. The second half was once again a defensive affair in the beginning as Bengal’s Nilesh Shinde and Bajirao Hodage held firm at the back, while Surender Nada and Jeeva Kumar tightened U Mumba’s defence. Both team’s raiders either got out or returned unsuccessfully till the 30th minute when Mahendra Rajput tagged 2 U Mumba players before returning to his half. Cheered on by the home crowd, the Warriors got Mumbai all out in the 32nd minute to establish a 23-16 lead. However, buoyed by a resurgent Anup Kumar, who had 9 unsuccessful raids prior to the 30th minute, got 6 raid points in just 3 raids as he helped U Mumba turn things around. The Warriors got all out in the process as the away team took the lead 25-23. With just 2 minutes to go in the match, U Mumba extended their lead to 5 points when Jeeva Kumar held on to Jang Kun Lee, preventing the Korean to return to his half. The Anup Kumar-led U Mumba held on to make it 5 wins in a row. The away side won 12 consecutive points after the 32nd minute, while Bengal Warriors managed just 2 before the final whistle. The captain of the team in red scored 1 raid and 8 raid points in the final 10 minutes after a barren first 30. What happens if a playoff match ends in a tie in Pro Kabaddi?